Check out this recent picture of Shahid Kapoor and Misha Kapoor and we are already gushing over this picture! 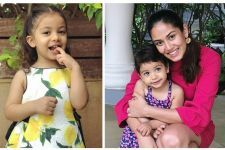 Bollywood's power couple Shahid Kapoor and Mira Rajput Kapoor are undoubtly the coolest parents in B-town. 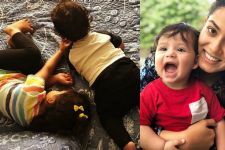 Shahid-Misha regularly enjoy themselves in cute-daddy-cute-baby moments and we are already in love with their pictures. Right from clicking selfies with his daughter to going for biking trips, they slay each and every moment. Profession demands that the actor stay away from his family quite often. 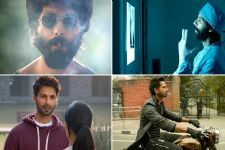 But, Shahid makes sure to take a break from the professional front. He sees this as an opportunity and makes the most of it whenever he is back in the domestic circle. Shahid, Mira, and other family members often go on dinner outings when they get time. Recently, Mira took to her Instagram handle and shared a picture of Shahid and Misha as they enjoy shopping with each other, and we are already gushing over their pictures. Her caption read; "Fresh produce!! Which aisle stocks these sweet treats?" Don't they look cute together? Mommy Mira SHARES 'Big Little Girl' Misha's AWE-DORABLE photo!